STAY 4 NIGHTS AND WE'LL WAIVE THE CLEANING FEE! This charming, updated cabin really has it all! Wonderful location with gorgeous mountain views. This inviting home has been totally remodeled and has everything you could ask for in a mountain vacation home. Fully equipped and modern kitchen, cozy living room with wood burning stove, two bedrooms, large bath, upper level deck with lake view and large lot to take in the incredible Colorado scenery! Driveway can accommodate your cars and toys! WiFi and Cable. New washer/dryer. Sleeps 5! THIS HOME DOES REQUIRE A FOUR NIGHT MINIMUM RENTAL OVER THE 4TH OF JULY HOLIDAY. NOTE: ABSOLUTELY NO OUTSIDE FIRES, INCLUDING MAKING A FIRE PIT OR USING A PORTABLE FIRE PIT, ARE ALLOWED AT THIS HOME. Minimum Age Requirement to rent this home is 23. We had a great time in Colorado. The rental experience was easy, communication was excellent, and the house was as described. We're glad you had a good experience. Colorado is very special! Ragland Cabin is wonderful. So glad you enjoyed it. Come back and see us again. Great cabin and location. Our family of four enjoyed the peaceful surroundings and the wildlife nearby. The cabin was spotless and comfortable. We enjoyed the location and that Grand Lake is less busy and less full of tourists than Estes. We saw fox and elk near our cabin and enjoyed having our morning coffee on the balcony. The hosts were extremely responsive and friendly. 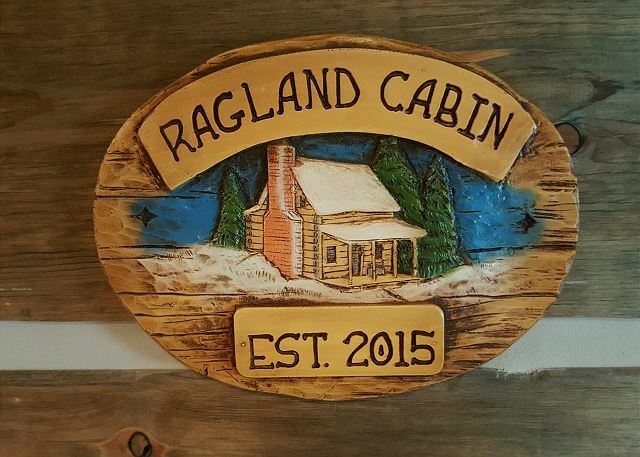 Ragland is a great cabin, so glad you enjoyed your stay. We wanted our kids to have a cabin experience on our trip and Ragland Cabin did not disappoint. It offers a bit of rustic charm with all the modern amenities for a very comfortable stay. We enjoyed the chipmunks playing out front and soaked in the view of the lake. The proximity to Grand Lake and Rocky Mountain National Park make this a great location. We look forward to visiting again! We look forward to seeing you again, Maggie. Thanks much! We had a wonderful time at Ragland Cabin! We love the Grand Lake area and the small town feel with the Rocky Mountains as a scenic backdrop. On two different mornings as I was walking, I cam across a moose. I would recommend hiking to see the waterfalls in the area, several of which were small hikes. Great time overall and great rental. The Ragland Cabin was clean, quaint, and cozy and fully met our expectations. Check in and out process with Grand Mountain Rentals was easy. Ragland Cabin is quite popular! Glad you had a good visit. Thanks Shelli! Glad you had a good time. Enjoyed our stay in this cabin. Great location near RMNP. Very relaxed setting. Great kitchen. We had a wonderful getaway. We have stayed at this property twice now and just love it. It is a true wood cabin with nice touches and very quiet and private. We hope to come back again later this year. Thank you so much! Out of 5 stars, i rate this one 10+. This cabin may look somewhat small from the outside, but once inside it's so nice & more than roomy for a couple looking for a quiet getaway, or a family of 4 or 5. The interior is just stunning! All of the walls are cut from beetle kill pine logs & finished expertly. The furniture throughout seems to be pretty new and in excellent condition. All of the appliances are in perfect working order. No extension cords running from downstairs to the upstairs so the coffee maker will work because everything is is excellent working condition! 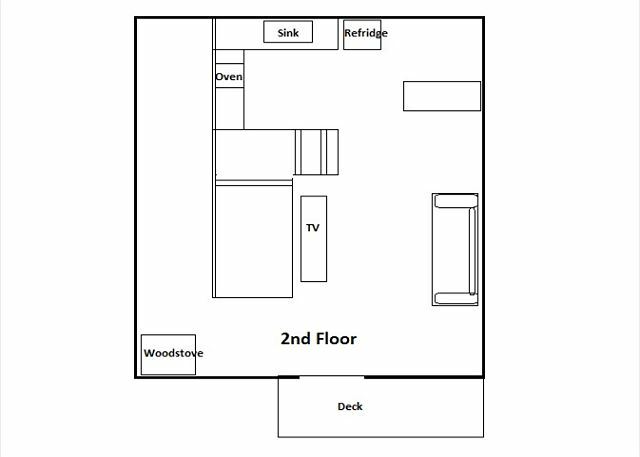 The living room has a wood burning stove & there's also a 50+ inch widescreen TV with full cable access. The second bedroom also has a small flatscreen TV and also has cable. This is the type of cabin that really makes it difficult for you to leave at the end of your stay. It's just so very nice here. You're only about two miles from town & less than 5 minutes from the Rocky Mountain National Park. There was a heard of Elk just about a block away from the cabin, grazing along the side of the road. And although this cabin is not a lake front property, you can see just enough of shadow Lake from the outside balcony to make your morning coffee or afternoon cocktails very enjoyable. Also, when you check in at the rental office ion the town of Grand Lake, don't forget to ask all of you questions of the staff there, they are very knowledgable & are more than happy to assist you! I know that this review seems a little over the top, so before you ask . . No, i am not affiliated with anyone connected to this rental property, i just love it this much & want to definitely go back again! Thank you so much for the great review! We are so happy you enjoyed your stay at Ragland Cabin and we look forward to welcoming you back again! Great cabin in Grand Lake! The cabin was very clean and right next to Grand Lake and RMNP. Having a fully equipped kitchen and washer and dryer was really helpful. We even had a moose walk through our backyard! Enjoyed our stay! The cabin really fit the locale. Since we spent most of our time at Rocky Mountain National Park, it was perfectly located! The cabin was cozy, comfortable and clean. If we go back, would stay here again! My sister and I stayed 3 nights at Ragland cabin. The cabin was very clean; the beds were comfortable and the view was pretty. We saw a buck deer while we sipped wine one evening on the deck. There were cabins all around and cars passed by frequently during the day, so the place isn't really remote but we were still surrounded by trees. There is a beautiful Aspen tree, with leaves that shimmer in the breeze, right outside the cabin. We brought some movies and watched them at night on the large TV. I would definitely stay here again. Perfect cozy cabin. It was clean, great use of space, everything we needed was there, beautiful views, and space for kids to explore and play. One morning we had three deer wandering around the cabin and another morning we had a mama and young moose hanging out for a few hours. The location was ideal for exploring RMNP and the town of Grand Lake. We would definitely stay here again and highly recommend it. Great place to relax and enjoy the mountains. We had a great stay here. Not too far from town. Good view of the lake (minus few power lines). Small patio is the best spot. Great for older kids but not small kids due to stairs and bunk beds. Drawbacks were lack of any spices, cooking spray etc. and having to take trash to town. Thank you for the nice review and we are glad you had a great time at Ragland Cabin! We hope you come back again! With this being bear (and moose, elk and other wildlife) country we have to make sure that garbage is in a secure location to protect all our critters. everything is as described. the cabin is cozy and at great location. everything is at great condition. we were very happy about our stay. add the light at dinning area will be perfect. My wife and I spent a week at the Ragland cabin the first week of June and were very happy with the property. The bed was more comfortable than ours at home. The only thing I would suggest is a set of blinds on the small window of the bedroom downstairs. I hung a sheet over it to maintain privacy. I would absolutely stay here again and will suggest this location to anyone looking for some R and R in Grand Lake!! Thank you for your nice review. We are so happy that you enjoyed your stay at Ragland Cabin and hope you come back again. We couldn't have stayed at a better location. Everything was just perfect from its design, decor, amenities. It had everything we needed and more. Management Calise and Ralph were absolutely wonderful and very helpful. We will definitely be returning, and would recommend GMR and the Ragland to anyone looking for a lovely, relaxing getaway. Thank you for the nice review! We are so happy you enjoyed your stay at Ragland Cabin. It is a really lovely cabin and the owners have done a wonderful job decorating and making it super comfortable for our guests. Looking forward to welcoming you back! We absolutely loved our cabin and the community. We will be retuning again and hope to stay in the same cabin. A wonderful place to stay. Who knew? We are so happy that you loved the cabin and the town of Grand Lake. Both are very special! Looking forward to welcoming you back sometime! My family and I have rented various rentals from Grand Mountain Rentals for the past several years and the staff and rental properties are always great. My husband and I chose the Ragland Cabin for our stay this year and it was fabulous. Location was great, did see some moose across the road a few times in the morning. I can't say enough about this cabin, it was everything and more then we were looking for. We really enjoyed our stay. Very cute & cozy cabin. We are so glad you liked the cabin. It is cute and cozy and a perfect getaway for a couple or small family. Please come back again! The Ragland cabin is a superb mountain getaway cabin! Period! It is small-ish and, therefore, cozy and warm. 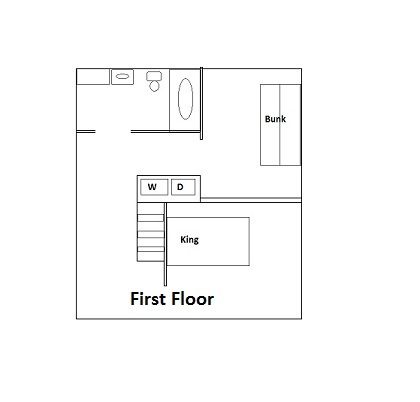 The kitchen is spacious and has everything you need in it. The main bedroom is perfect minus a few blinds over the windows, which was not an issue at all. The deck is simply wonderful, especially for moon/planet/star viewing in the uncluttered darkness of the night. The wood burning stove is wonderful and really heats the upper portion of the cabin very well. There were no stove tools, however. I imagine the friendly management staff will correct that soon! We couldn't ask for more! Thank you for the great review and we appreciate your suggestion of getting tools for the wood stove. They are on order and will be in place shortly! Come back again to this fabulous cabin!!! We had the best time st Ragland Cabin. The Cabin was perfect, clean, decorated super cute, and in a great spot. We definitely will be back. This cabin is PERFECT for a mountain getaway. It provides all the amenities and comforts of a 4 star getaway. I stayed in this cabin with my family, we are from South Texas. This place was in a great location, very quiet and peaceful. We very much enjoyed our stay here. The cabin was very clean and quaint. Definitely would love to go back someday. This location was great. Very close to downtown Grand Lake. The cabin was nicely updated and had everything we needed for a very comfortable stay. I highly recommend staying here. We throughly enjoyed our stay at this cabin. Grand Mountain Rentals provided an easy check in process and the cabin was clean and well equipped. The only disappointment was that this cabin wasn't as secluded as portrayed. There were cabins all around it, but the lake facing second story deck was protected and provided the illusion of privacy. All in all a nice place to stay. We love the Ragland Cabin. It was perfect. It met all our needs. We will definitely come back. We are so happy that Ragland Cabin was the perfect place for you. It is indeed a special home in an absolutely lovely location. Glad to hear you will be back -- we look forward to having you again! We really enjoyed our stay in Ragland cabin! It was a nice quiet neighborhood and we saw a moose and fox one morning. It's a new or recently renovated property done in rustic cabin style, as is fitting. Appliances and furniture were nice and the deck is perfect for watching the sun come up across the mountains and lake and for watching the stars come out at night. Can't wait to come back!! Family Vacation in Grand Lake. Very nice cabin. Beds were comfy. Our son enjoyed having his own space. Only recommendation I'd have is for the company to place another window covering in the bedroom. One window didn't have a curtain. We hung one of our camping sheets up over the top and made it work. Overall, very nice place to stay. Ragland Cabin is a wonderful place to stay. Not only is it very clean but it is well decorated and very comfortable. All the furniture is not only functional but comfortable. Beds are great! The king size bed in the master bedroom was awesome! Closet space is very good.The pull out couch was comfortable too. Kitchen is well equipped. Bathroom is clean and tastefully decorated. Balcony has a partial view of the lake, a great grill and beautful view of the stars at night. We thoroughly enjoyed our stay. Close to Grand Lake main shopping area/restaurants, trails, RMNP. Thank you for the great review and we are so happy you enjoyed your stay! Ragland Cabin is a wonderful, charming cabin in a great location. We look forward to welcoming you back to Grand Lake again! The cabin was immaculate with all the amenities. It was spotless, comfortable and cozy. The setting by the lake was so relaxing and I could sit on the deck for days. By the time I left I was so relaxed it was hard to leave. I will be back ASAP! Ragland Cabin is a beautifully appointed cabin. The owners thoughtfully decorated it with fun western art -- love the moose paintings and bench, and all of the bears, including the Bear Boat dominos! The common area is very comfortable, with a big flat-screen TV and wood stove for cozy nights in winter. The kitchen has every amenity you can think of; really liked that as I enjoy cooking. The bedrooms were also comfortable, one with a cushy king-sized bed and the other with cozy bunk beds. One of the best features of the cabin: the deck that faces Grand Lake and the mountains. A perfect spot to relax with a glass of wine after a day of play in Rocky Mountain National Park. Would definitely come back! Thank you for your great review! Ragland Cabin is a very special cabin and we are so happy you enjoyed your stay. Please come back again!